I'm all about a no-oven summer, at least as much as I can help it. I can't totally avoid it, I still need baked rolls, bread and cookies. But I do try to plan more meals and treats that require no-oven in the summer time. Are you that way too? 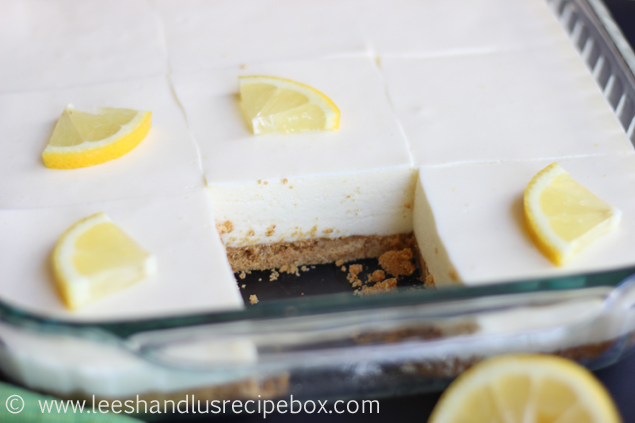 This no-bake cheesecake fits my no-oven requirements perfectly! My friend, Leticia, shared this recipe with me back when we were in high school. We made it at least a half a dozen times during our senior year - somehow it didn't end up in my own recipe collection and I had to get it from her recently. We served it to our friends and the missionaries from our church, who came for dinner, and it was a hit! I can't believe I've gone 12+ years without this yummy stuff! Now some may argue that this isn't cheesecake - and it's not your typical baked cheesecake. 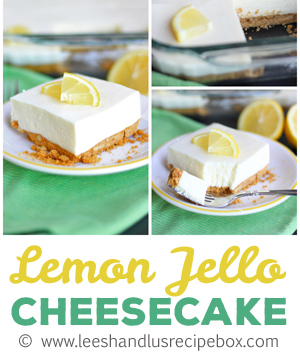 Since there is jello in it (along with your more typical cheesecake ingredients, sugar, cream cheese, graham cracker crust, etc) - it's got a nice firm but spongy texture. 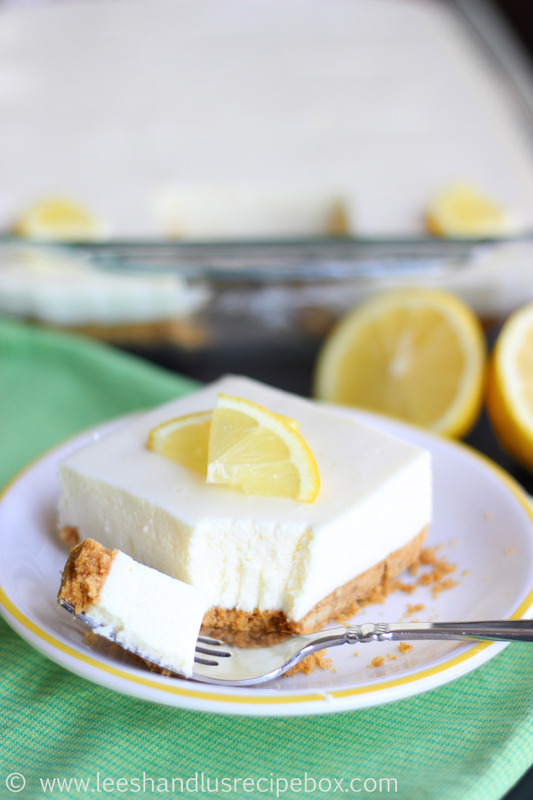 It's light and lemony and I like to make sure the crust is extra thick - I'm a sucker buttery, sugary graham cracker goodness! Mmm, I'll take another slice right about now! Serve it plain and simple or garnish it with a small quartered lemon slices or a lemon zest curl if you want to get it a little fancy! Or I've seen recipes for candied lemons too. That would also work well. Keep cool out there this summer and enjoy some cheesecake! Pour the canned evaporated milk (or substitute listed in ingredient list) into a small bowl (glass or stainless steel) - and place it in the freezer until the milk starts to freeze to the edges of the bowl (for me this is about 30-45 minutes). While this is freezing - In a small mixing bowl mix lemon jello packet with the envelope of Knox unflavored gelatin until combined - then add one cup of very hot water and stir until dissolved. Place the lemon jello mixture into the fridge and chill until it’s sticky on top (it should stick to your finger if you touch the top - if it’s still runny it’s not ready) but don’t let it firm up too much. This usually takes about the same amount of time as the freezing the milk. 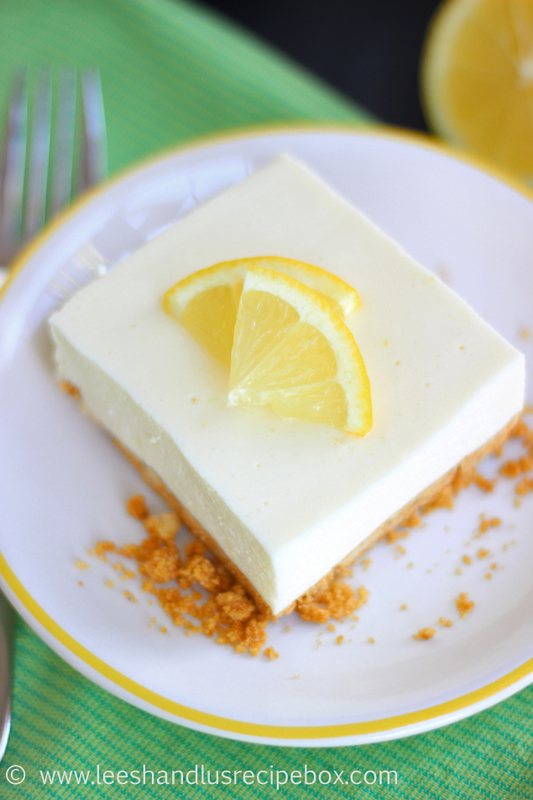 Mix the cream cheese, lemon zest, lemon juice, sugar and vanilla until smooth with a hand mixer (or in a blender). In a clean bowl with clean beaters - whip the frosty milk until fluffy (it won’t be quite as fluffy as cream - but it gets very frothy). Add the chilled and sticky lemon jello mixture to the cream cheese mixture and beat/blend til smooth. In a large bowl fold in the whipped milk into the cream cheese/jello mixture until combined and pour over the graham cracker crust. Smooth evenly across the curst. Chill covered for at least 2 hours, preferable 4+. Serve chilled. Cut into square and serve. Garnish with lemon slice quarters or a lemon zest curl if desired. Originally shared on Eighteen25. Adapted this recipe from one my friend, Leticia F. gave me. Oh you darling girls. I made this today. My Jello turned hard really fast, a lot faster than my milk. (I used the cream and milk) I knew the jello would never mix as it was so I popped it in the microwave and turned it to liquid over again and chilled it again. I wasn't sure it would re-gel after that but good news it did. 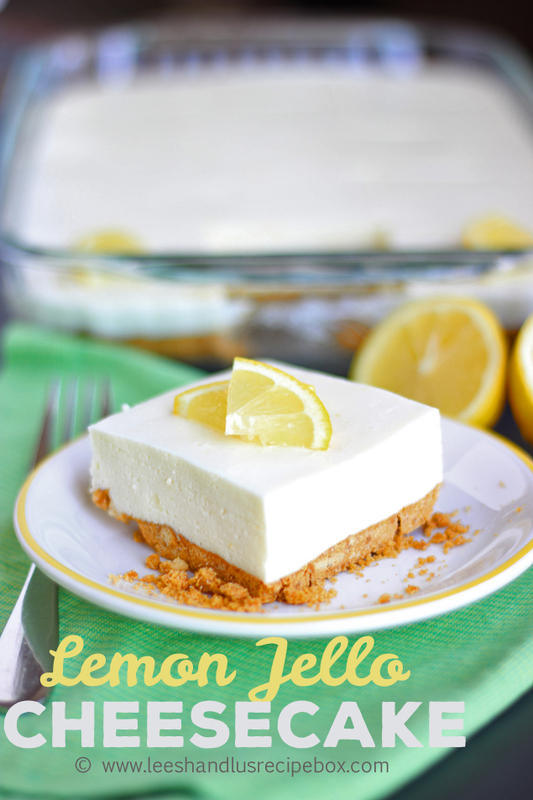 After tasting the concoction of jello and cream cheese lemon juice and zest I opted to add 1 1/2 tsp of lemon extract. But, you darling girls, I had bowls, a hand mixer and my kitchen aide mixer going. Very nice in the end. I'm just not clear why everything had to be chilled and nearly frozen to work. I'm kind of thinking those may be steps I don't understand but I did them anyway. So yes, it's good. Oh the clean-up. Thanks ladies. You're darling.